Community Representatives are needed in EVERY community group conferencing. We are always looking for youth (teen) and adult volunteer community members to fill this essential role. Crime does not happen in a bubble. We are all impacted by it – and it is the role of the community representative to express the ripple effect that crime has on a community, thus showing offenders the larger impact of their actions. 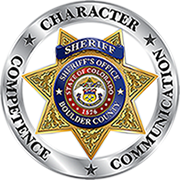 As a community representative, you will be able to voice your opinion and experiences, help offenders repair harm, and tell the offenders how their behavior impacts you and your community. Community Representatives who are interested in becoming part of our program are interviewed by the Restorative Justice Office staff and given an overview of what to expect at a Community Group Conference. New Community Representatives are added to our list and contacted when a conference date becomes available. Every effort is made to try to place Community Representatives in conferences that fit their schedule. Conferences typically last 2-3 hours.